This week is a cluster of AOTY madness, but there are still other things happening in the metal world. Apparently artists aren’t bound by our arbitrary delineation of listen season. Jerks. A documentary about Chuck Schuldiner is in the making. You should read the following statement by Eric Greif (one of its makers) and take part in its funding here. 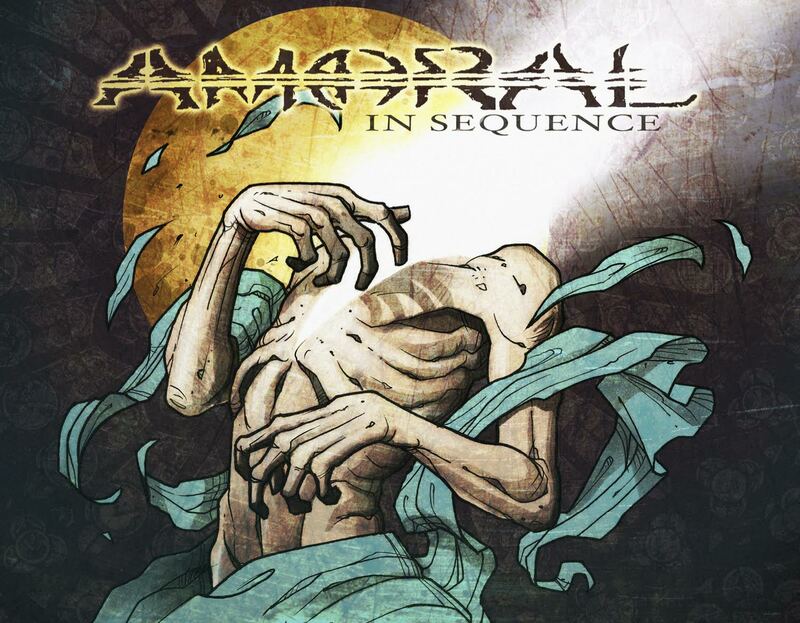 Prog metal band Amoral will release their new album, In Sequence some time in the future. Now, you can view the album’s cover art and listen to the new song Rude Awakening below. It’s the band’s first song to feature three guitars as well as returning vocalist Niko Kalliojärvi in addition to Ari Koivunen, who sounds really good – which has not been given. Cannibal Corpse announced a tour with Obituary, Cryptopsy and Abysmal Dawn. Venomous Concept released a new song, “Rise“, from the new album Kick Me Silly; VC III will be released on January 8th. Agoraphobic Nosebleed will release their new EP, called Arc, on the 22nd day of January. Ignite released a new song, it is called Nothing Can Stop Me. The Body has released quite a lot of material this year, and their collaboration with Full of Hell is coming soon as well. In my opinion it’s too much, too fast. But now they have released a new “solo” song, “Shelter is Illusory“, (you can also pre-order the album through that link), and it is good. More atmospheric than I have come to expect from them, but good. On January 22nd The Casualties will release a new album, called Chaos Sounds, and have released a song called “Running Through the Night“. That same day (January 22nd, ya dingus) will see the release of Coup de Grace, The Resistance’s sophomore full-length. Magrudergrind will release II in February and have debuted a new song, “Sacrificial Hire”, here. A new video for “Carpet Bombing” was released by Shrapnel Storm. It seems that Neil Peart is about to call it quits. Got any other news? Let us know if we missed something in the comments!